I just finished reading this amazing book. 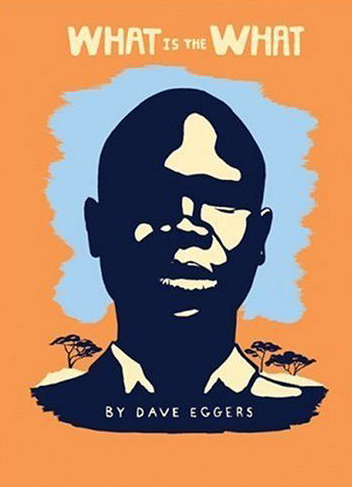 It’s written by American novelist Dave Eggers and is a fictionalised autobiography of Valentino Achak Deng. To write the book, Eggers collaborated with Deng, listening to and recording his remarkable and tragic story. The book follows Deng, one of the Sudanese “Lost Boys” who lived through the recent civil war and became a refugee living in America. It bounces back and forth between his present life in America and his long journey to get there. Deng spent his early childhood growing up in a small village in southern Sudan until a civil war erupted around him, starting a long fight for survival. After his village is attacked by Arab militia he flees alone and joins thousands of other children as they journey across Sudan to refugee camps in Ethiopia and finally Kenya before he is accepted as a refugee in America. Along the way he must overcome almost insurmountable obstacles such as wild animal attacks, starvation and attacks from military forces. It’s an amazing story, brilliantly told which shows what humans are capable of, both good and bad, when the fragile fabric of society breaks down. Well worth a read.